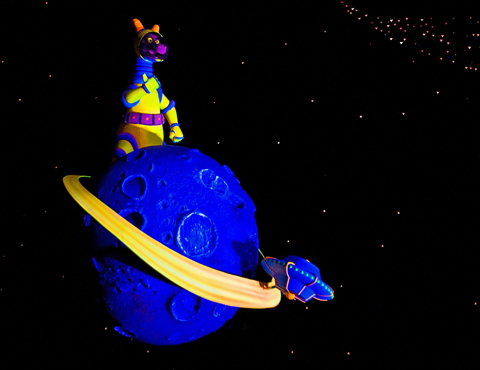 Journey into Imagination takes you on a tour of the zany Imagination Institute. Sometimes you’re a passive observer and sometimes you’re a test subject as the ride provides a glimpse of the fictitious lab’s inner workings. Stimulating all your senses and then some, it hits you with optical illusions, an experiment in which noise generates colors, a room that defies gravity, and other brain teasers. 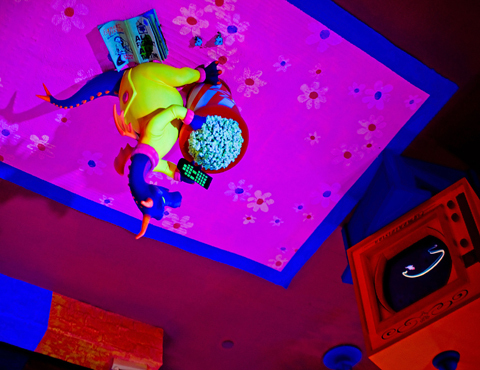 All along the way, Figment (a purple dragon) makes surprise appearances. After the ride, you can adjourn to an interactive exhibit area offering some basic imagery technology. 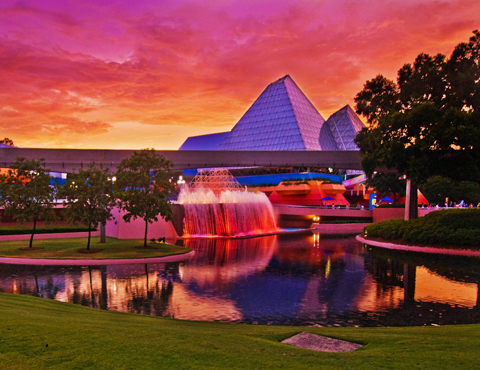 Journey into Imagination should be experienced only if you’re a HUGE Figment fan—we, on the other hand, hated it. 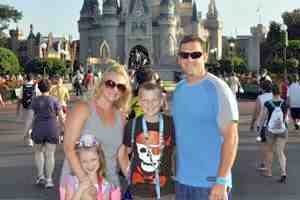 My husband was convinced after our touring plan sent us to Figment that all touring plans were a waste of time. The ride falls short of the promise suggested by its name. Will you go to sleep? No. Will you find it amusing? Probably. Will you remember it tomorrow? 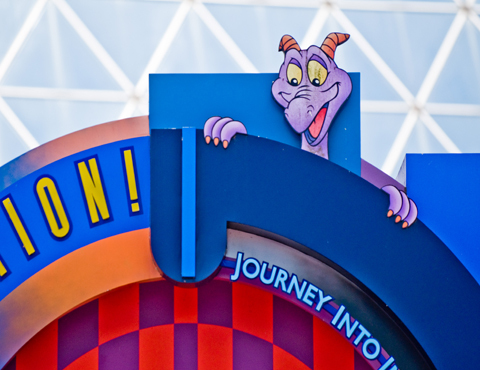 Only Figment knows. The standby wait for this attraction have increased significantly because of FastPass+, but it’s rarely a good choice as a reservation. 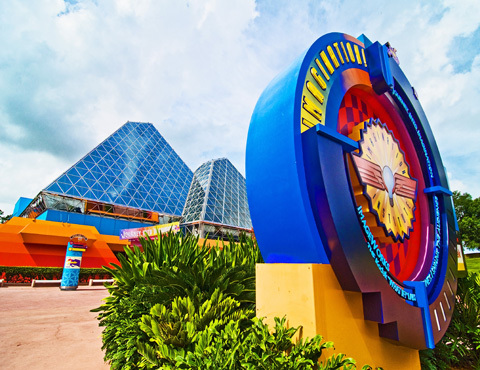 You can enjoy the interactive postshow exhibit without taking the ride, so save it for later in the day. This chart shows you roughly how long you'll wait for Journey Into Imagination With Figment when you visit on a day with a given Epcot Crowd Level. The blue bars represent the average "peak" wait time (that is, how long the line will be at its busiest). The bottom and top black lines represent the range of peak wait times to expect (for you fellow nerds out there: it's the 5th percentile and 95th percentile of peak wait times). Please note that these are estimates, and for a better forecast for your travel dates, see Journey Into Imagination With Figment Wait Times.